With its Single Cold Wall Process Chamber approach ATV is setting the benchmark in both the R&D and Pilot Line Production markets. 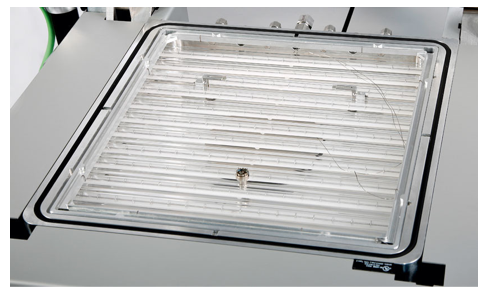 Here our highly successful SRO-714 and SRO-716 series IR vacuum reflow oven marks the heart of ATV’s reflow soldering ovens and proves ready for any and all of your process requirements. 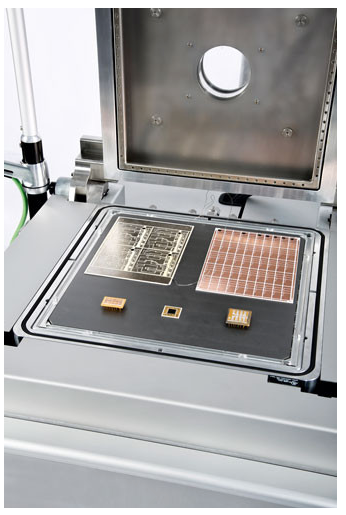 The Solder Reflow Ovens SRO-714 and SRO-716 offer the perfect tool for reflow soldering applications, rapid thermal annealing and brazing capabilities. Moreover the direct IR lamp heating technology will provide you with a maximum heated surface of 314 mm². With its outstanding process stability and repeatability this tool is found in almost every major R&D center and pilot line production. In order to achieve void free and prefect solder joints ATV applies all of its know-how in cold wall technology, IR heating, vacuum assembly and formic acid. Due to its high clearance above the heated surface the system allows for easy handling of IGBT and power electronics packages while the large heated area of both the SRO-714 (217x230mm) and the SRO-716 (314x314mm) offers excellent flexibility. As a result the SRO-714 and SRO-716 can be utilized in every conceivable semiconductor and MEMS application – whether using flux, fluxless or solder paste for your reflow process. When working with the SRO-714 or SRO-716 our 100-Step-Recipe will make programming easy and guarantee superb process results. Just imagine creating a fluxless process via a formic acid enriched atmosphere and receiving perfect void free soldering results – again and again. Due to its very low nitrogen consumption both the SRO-714 and SRO-716 are prepared for the latest generation of flux-based solder pastes which depend on low oxygen content during the process run. 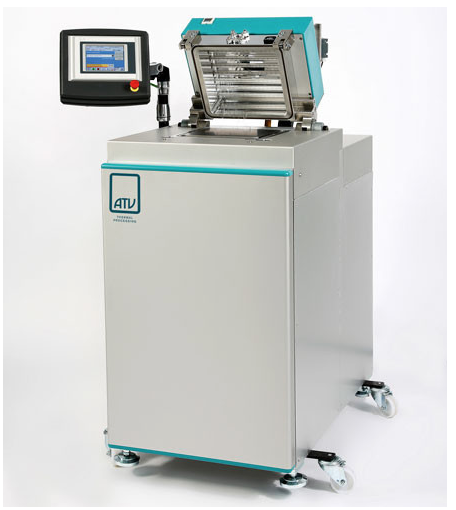 – Rapid single wafer processing < 50°C/sec.